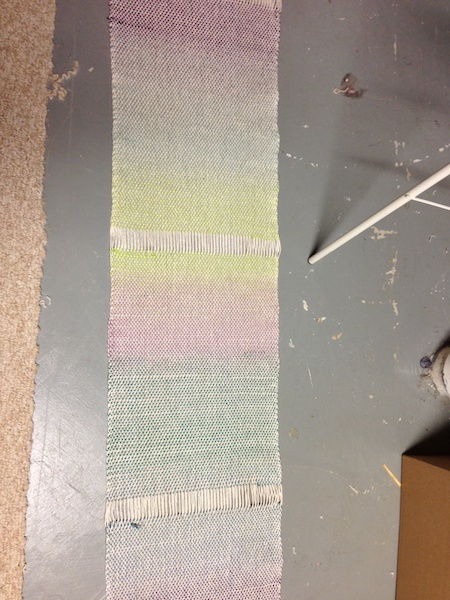 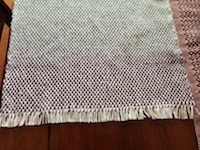 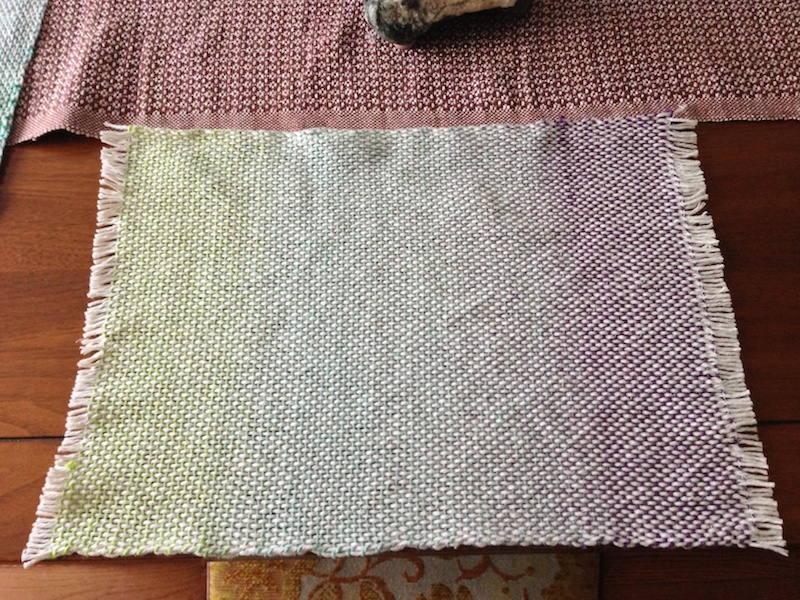 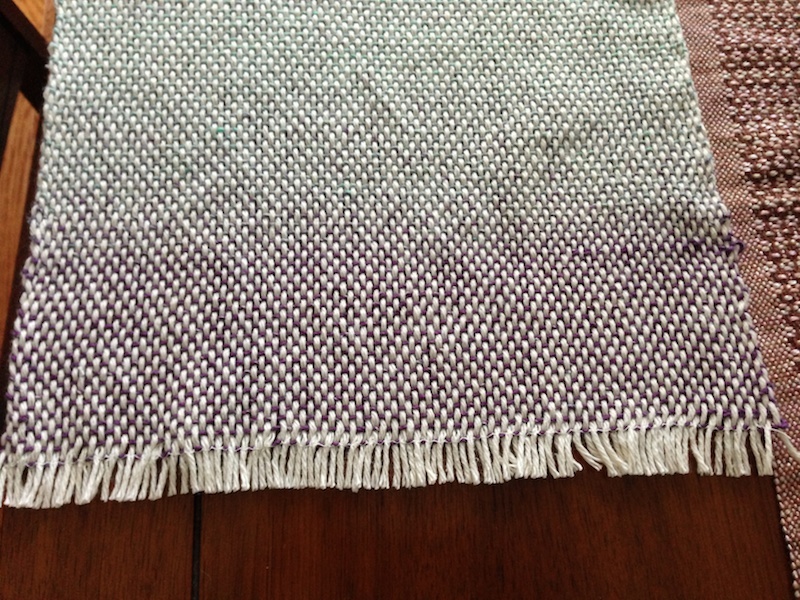 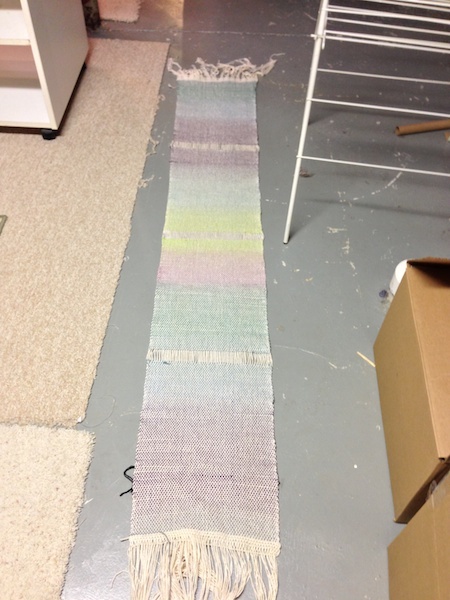 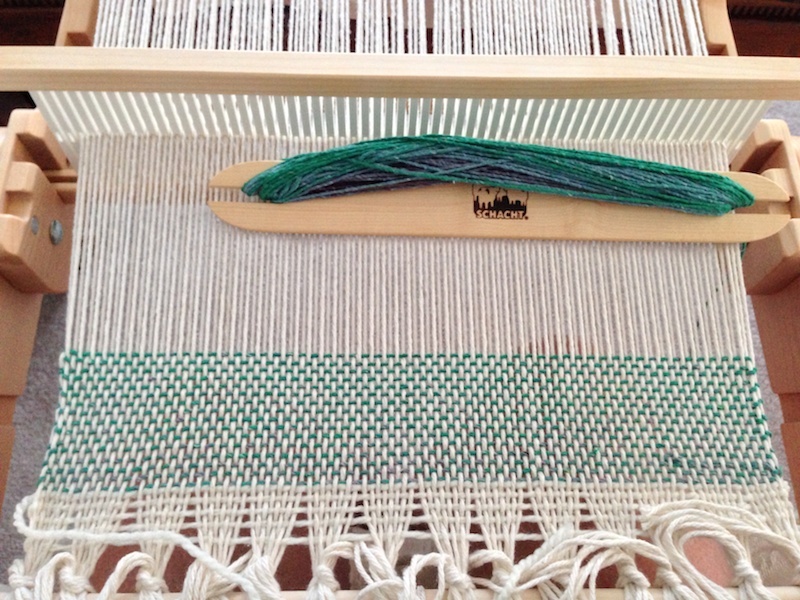 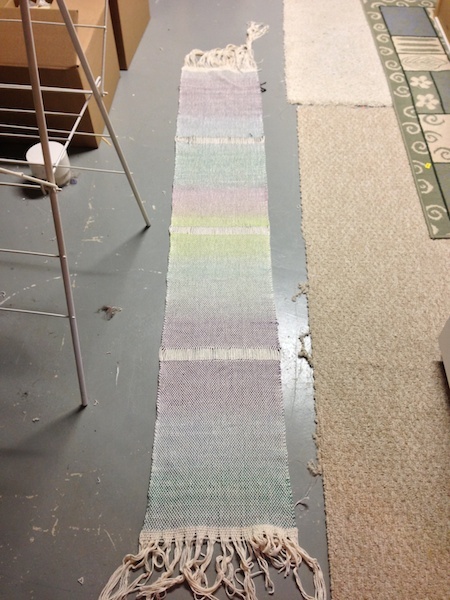 This was a project on my rigid heddle loom (Schacht Flip, 15"; used 8 dent reed, 112 ends). 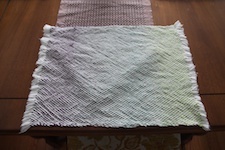 The Sakura Cotton is a very slow changing variegated yarn, so I made sure to wind/rewind the yarn on the shuttle so that cut ends would line up (and colours would continue evenly). 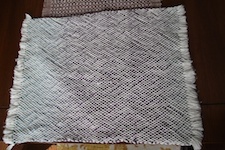 Used about 4 balls of the Bernat Handicrafter Cotton, and about 2/3 of one skein of the Sakura Cotton. 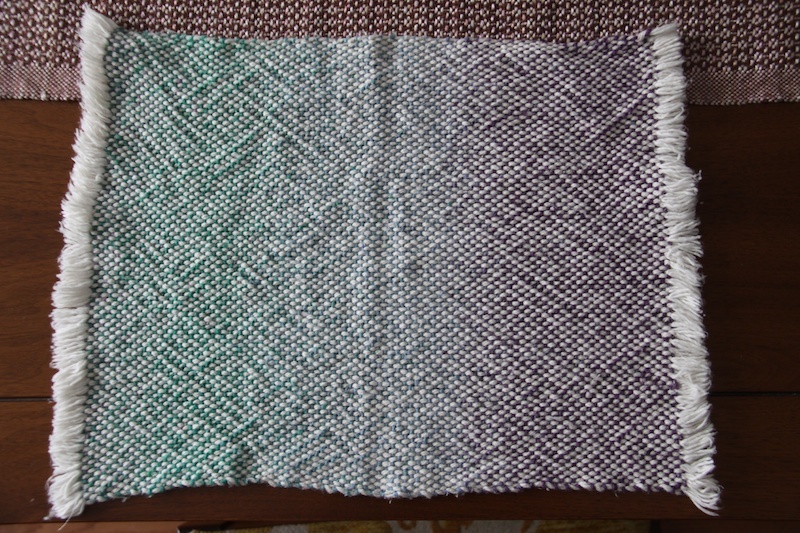 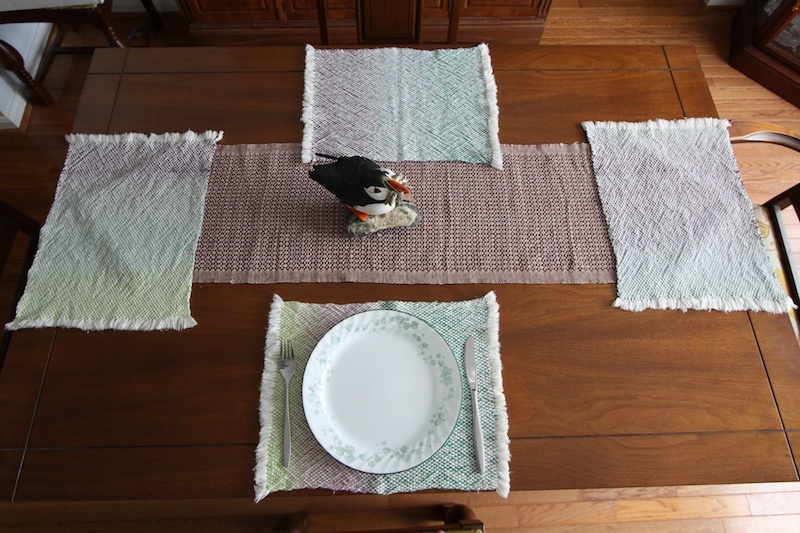 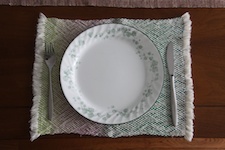 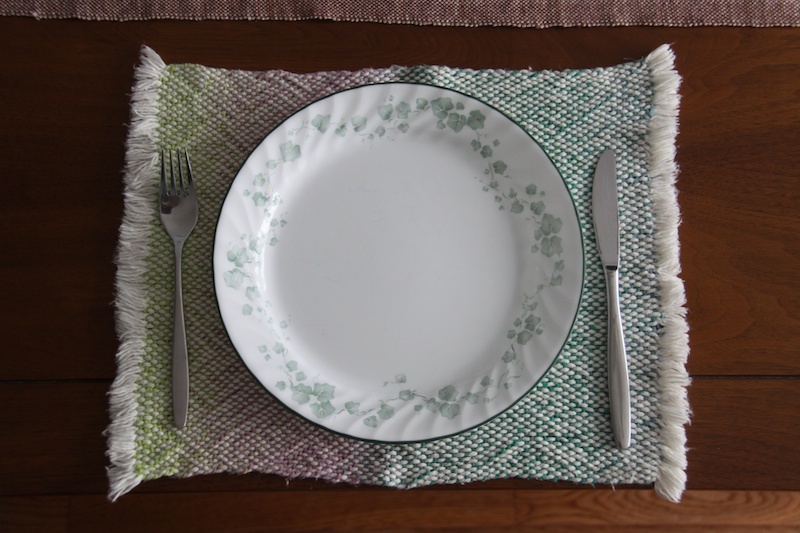 Wove the placemats to 18", left about 1" between placemats. 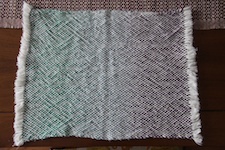 Sewed down the ends before washing. 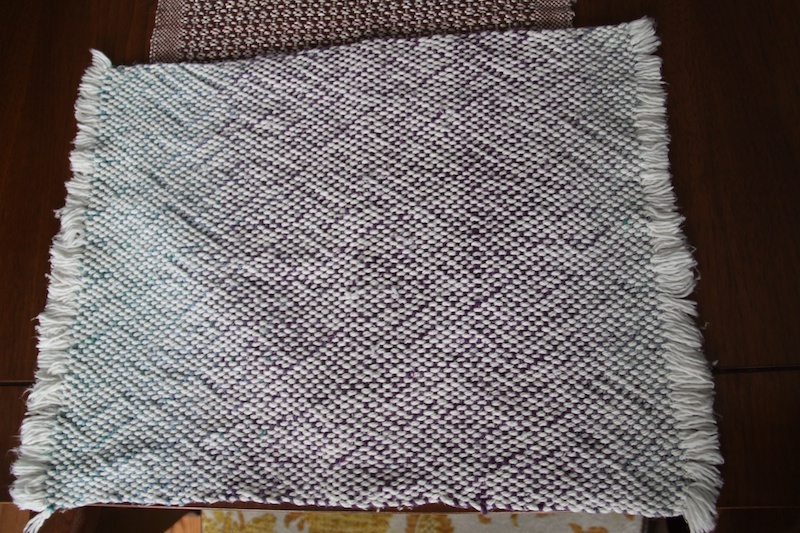 After washing -- placemats measure 11.5" x 14.5". 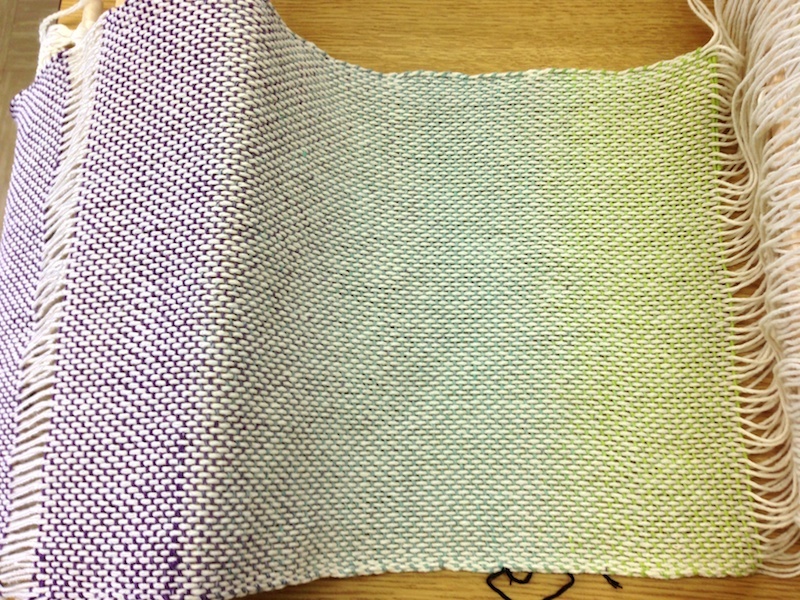 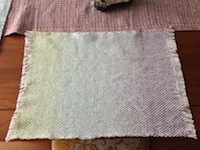 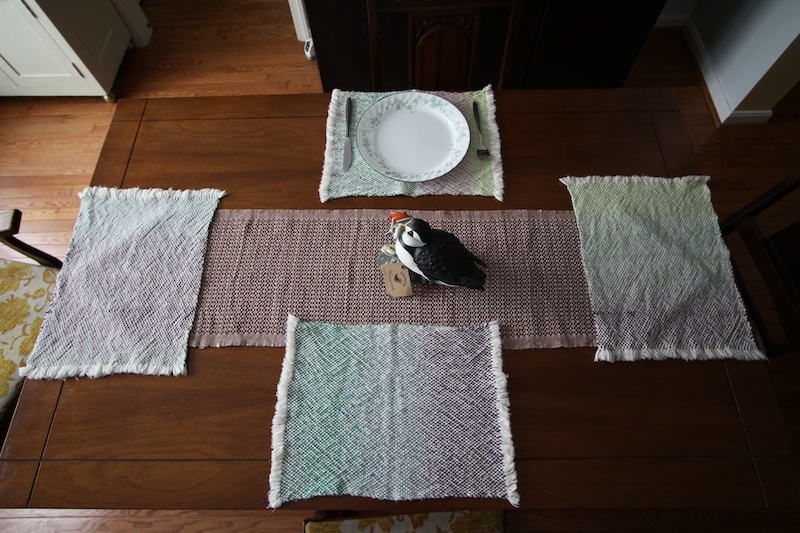 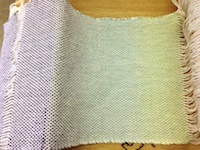 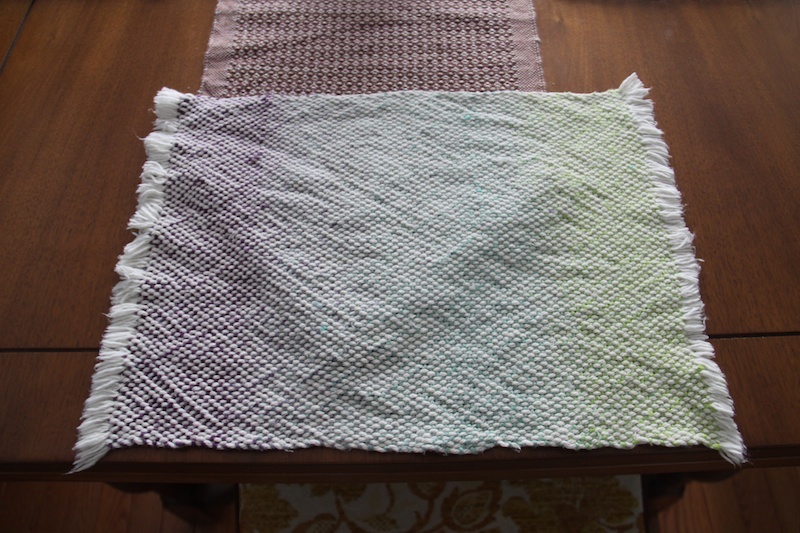 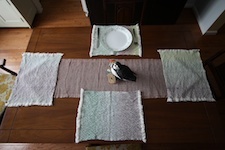 You can see the colour progression between placemats ("in order").